Local campaigners have vowed to fight a university’s plans to gain permission for almost 200 new homes in Wrexham. Wrexham Glyndŵr University is planning to sell off land in Rhosnesni and New Broughton to fund the £60 million transformation of its local campuses. 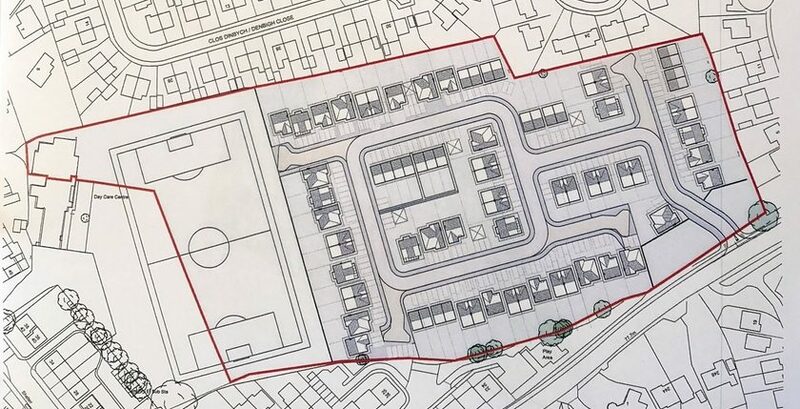 The university has put forward two formal planning applications – for up to 74 houses on playing fields on Dean Road, Rhosnesni and up to 112 on a horse field off Gatewen Road, New Broughton. But local representatives and residents living near both sites say they are unhappy with the proposals and feel the establishment ignored their responses to a public consultation into its Campus 2025 scheme. 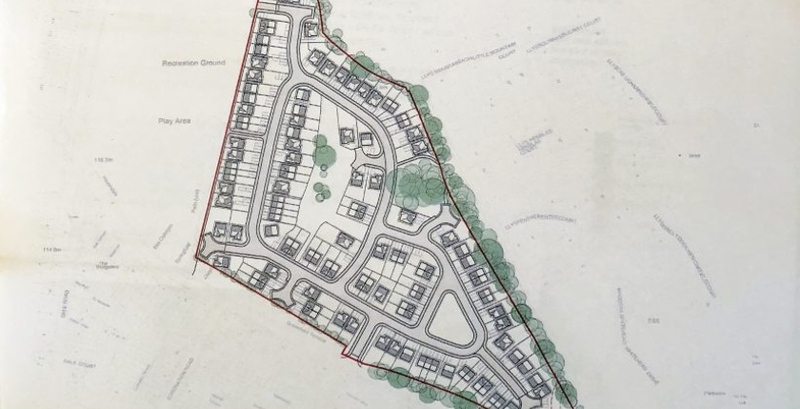 Cllr Mike Davies, who is opposing the plans in Rhosnesni, said he was concerned about the loss of green space and that the site was wrongly described as brownfield land in a presentation by the university’s vice-chancellor Professor Maria Hinfelaar. He said: “Basically they just want to sell land and make money. I’m disappointed and I’ve told them exactly that myself. “On at least two occasions when they’ve been talking about that site they’ve described it as a brown field site. If you look on the council’s land plans it’s classed as amenity land. “As a ward we’re short of green spaces according to the council’s own figures. The university has now said it is happy to make clear that the land is not brownfield and is not referred to as such in any of the applications. Meanwhile, members of the ‘Save Our Field’ group in New Broughton have claimed the proposed development in their community would cause a further shortage of spaces at the local school and GP surgery. 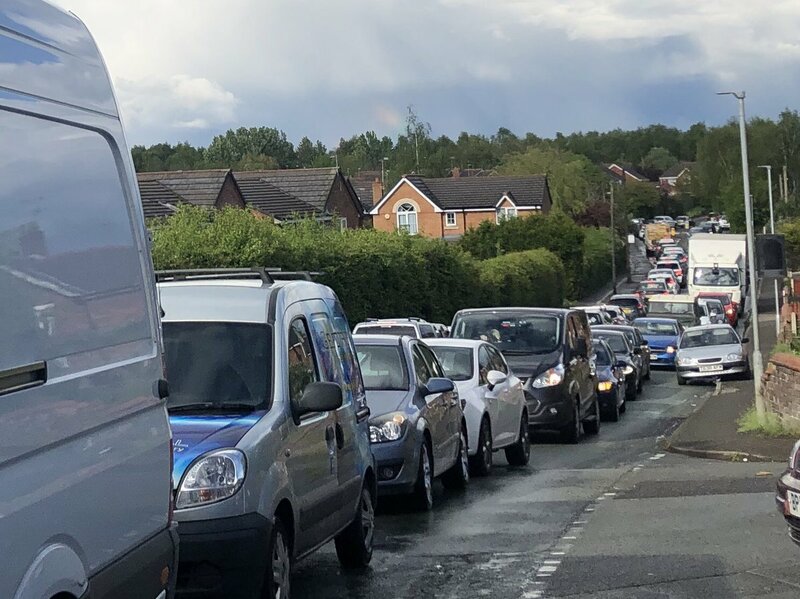 Concerns have also been raised that it will cause gridlock for people trying to get to Wrexham Maelor Hospital via the junction at the bottom of Gatewen Road, as well as causing issues for emergency vehicles. Trina Hughes, who lives opposite the field, said: “As an action committee we have knocked on every single door in New Broughton and Caego and absolutely no-one wants this to go ahead. “The traffic is horrendous going through New Broughton now and it’s going to get even worse. “The school is over full and the doctor’s surgery you can’t get in for love nor money, you can’t even get to the Maelor Hospital in the morning. Meanwhile, New Broughton councillor Alan Edwards said he would fight the plans ‘tooth and nail’ and questioned the validity of designs sent to residents to show what the development will look like. He said: “These plans that they’ve sent out to people saying what it will look like are useless. In response to the concerns, Wrexham Glyndŵr University said the submission of the applications was an ‘important part’ of its plans. They added that they would make a positive contribution to help meet Wrexham’s ‘housing need’. A spokesperson said: “The applications are all linked through the pressing economic, social and environmental case for us to improve our overall estate, and are in alignment with the overall vision to transform Wrexham. “We have taken on board concerns expressed during the consultation period and adapted applications where necessary. “The consultation was to ensure that the local community had full sight of what we were planning to do, and could comment in any way they felt appropriate, positive or negative. “It is not an exercise in attempting to gain support for the proposals but an opportunity to consult at an early stage, which is the reason why Welsh Government mandated a statutory period. Full videos / documents of the university’s plans can be found here.